One of the nicest gifts I’ve received recently is a collection of Taschen Books from Art Space Dubai. The books included “36 Hours in the USA & Canada”, “36 Hours in Asia & Oceania”, and “36 Hours in Latin America & The Caribbean”. 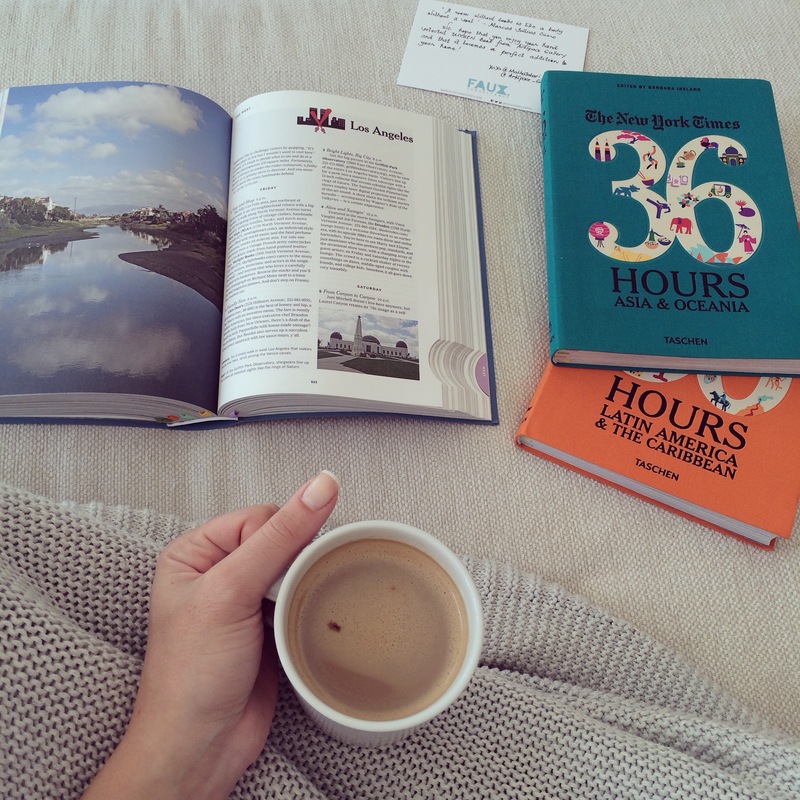 Beyond loving how elegant my new coffee-table books looked, I did a little research and found out that the 36 Hours stories were originally columns from the New York Times Travel Section. Taschen collected some of the paper’s 36 Hours columns and turned them into the form of a research book – dictionary-sized, with colored side tabs directing you to its regional section, various indexes (“Active Outdoors”, “Nature’s Grandeur”, “History”) and four colored ribbons within its pages for place saving. Definitely one of the most beautiful travel planning tools I’ve come across! Art Space Dubai is dedicated to the promotion of contemporary Middle Eastern Art and Artists. ARTSPACE caters to the tastes and trends of the sophisticated Dubai art scene and the gallery’s discerning worldwide collector base. Posted in Word Around Town and tagged Art Space Dubai, Taschen Books, Taschen Books Dubai, The Scoop DXB. Bookmark the permalink.